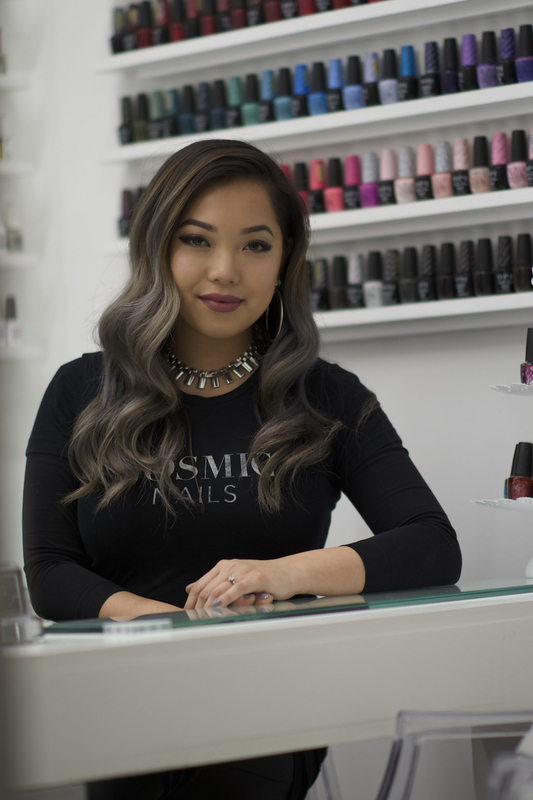 Julie Nguyen is a nail technician from Charlotte, North Carolina who is not just providing a service, she is working with purpose. In this post, she shares how she went from zero to 350+ clients in less than a year, what’s working on social media to help grow her Cosmic Nails brand, and why beauty pros should take a break from technology and revisit the importance of human connections. For her, it’s more than just waking up every day and going to work. 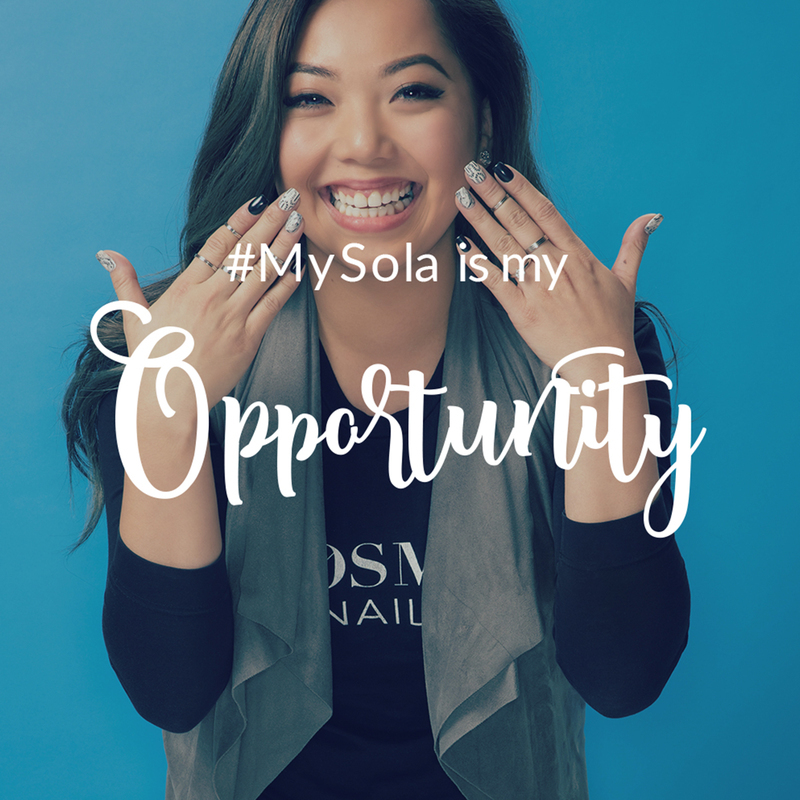 Julie was selected to be one of our Faces of Sola because she is a young, aggressive marketer who has created her own space for nail in the hair-centric Sola community. Watching her business grow on social media over the last few months, it was clear that Julie is paving the way for niche beauty services to thrive in the Sola world. Sola is traditionally very hair-dominant so how are you standing out in your Sola location and not getting lost amongst the hairdressers and colorists? I’m the only nail technician in my Sola location and what makes me stand out is my work ethic. I’m usually the first person there and the last person to leave, and I know it sounds crazy, but the amount of effort I am putting into my business and my brand is what makes me stand out. When people are walking past my studio, whether they are on their way to their appointment or to pass the time while their hair color is processing, they are always peeking into my studio because I am always there. That first week of me being at Sola, when I had zero clients, I sat there. Every single person that walked by I handed them a business card. I choose not to take breaks in the Sola break room because I want people walking past and see that I’m there. A lot of times people walk into my studio to ask where another studio is located in the building or just to check out my space. This gives me an opportunity to not only talk to them and show them my studio, but show them my work and all the polish colors I have available, and even get them to follow me on Instagram. It’s quite impressive how you grew your client list in such a short amount of time. Can you share some of your current marketing tactics? Right now I’m really focused on using Instagram and Facebook. It’s all about visual for me because people respond to photos. People are really attracted to seeing something and pretty things grab their attention. Ever since I started posting pics once a day on Instagram, I get a better response from my audience than if I send out an email. I’ve been getting a lot of interest, a lot of response, and honestly, a lot of new contacts from Instagram and I feel that it’s because I’m staying consistent and posting the right type of pics. What rules have you established for yourself when it comes to the photos you post on Instagram? My main rules, and rules I think everyone should keep in mind, are consistency, composition, and lighting. When you land on someone’s Instagram profile, you tend to look at everything as a whole. You have to stay consistent. Once you attract them, they will see that repetition of your style and your work. I feel that when you have that “look” figured out, and you’re posting on a consistent basis, you will attract a certain type of follower, and more followers in the end. When it comes to hashtags, you like to add a little variety and change things up. Can you explain why? It’s good to stay relatively consistent with your hashtags, but every now and then you should switch them up and use different types of hashtags so that you can attract and get more followers. For me, it generates a lot more response and more likes for my images, especially when I’m more creative with my hashtags. As an example, I noticed that when I venture off and use different hashtags, something as simple as #entrepreneur, I get a lot of new followers or likes from people who are starting their own business. Also, when I spell out my hashtags and not shorten the words, for example, #charlottenailtech, and type #charlottenailtechnician, I get more people and more of a response. When I stopped shortening what I was trying to say, I noticed I was getting more followers. I feel like it has also made my account look a bit more professional—a higher quality for my brand. My advice is don’t cut the spelling short. It is pretty apparent that social media has been a successful method for you to build your clientele? Anything else that has helped you go from zero to 350 clients in less than a year? Believe it or not, but I don’t enjoy social media. What I like is talking to people and being around them and connecting. Every single day I talk to someone—I am always smiling and saying hello, and people see and feel that connection when they first see me, and when they meet me. This helped bring clients into my space and it’s what has helped me build my client list. It also created this word of mouth. Do you think beauty pros are relying more on social media and technology than going face-to-face and making that human, in-person connection? I do, and the emotion can get lost when you’re posting or replying through technology. For instance, if a potential new client has reached out to you, and you’re replying back through message or text, and your reply is short with no emotion, they could take it the wrong way. I have always made myself either call someone back or if I do need to reply by text or message, I make it a point to thank them for reaching out to me and make sure my reply is long and detailed. Giving someone a moment of your time where they can hear your voice is important because they will respond to you and connect with you more than they would through a text. I think there are a lot of people missing out on creating those moments. I’m discovering this is what they are missing and what they want. The more I talk to people, being given the opportunity to listen to them, to connect with them, is priceless. This is way beyond more than just posting some pictures and getting 100 likes. I’d rather get that one person and have them tell me in person they like what I do. You are all about quality over quantity. A lot of people can lose this focus and this way of thinking so what advice can you offer for someone who has? Investing in making more time for and with your client is what’s going to make a difference. They come to you for a service so make it about them. Listen to what they are talking about. I also suggest taking notes—their kids names, their husband’s name, etc. So when they come back, and you bring up something like their dog’s name, that’s more powerful than anything else. Here you are making that connection with them. Take the time to work on that client relationship. What are some short and long-term goal advice can you give to a beauty pro/nail technician who is starting out or struggling? Short Term: Take them day-by-day. Write them down at the start of the day and work as your go. Completing those will then create more short-term goals for the following day. This is great for someone who procrastinates a lot, someone like me! Long Term: Setting long-term goals for myself was based on my reasons for becoming a business owner. I remain focused on those reasons. Honestly, they are always evolving. My short-term goals play a large role in the evolution of my long-term goals. 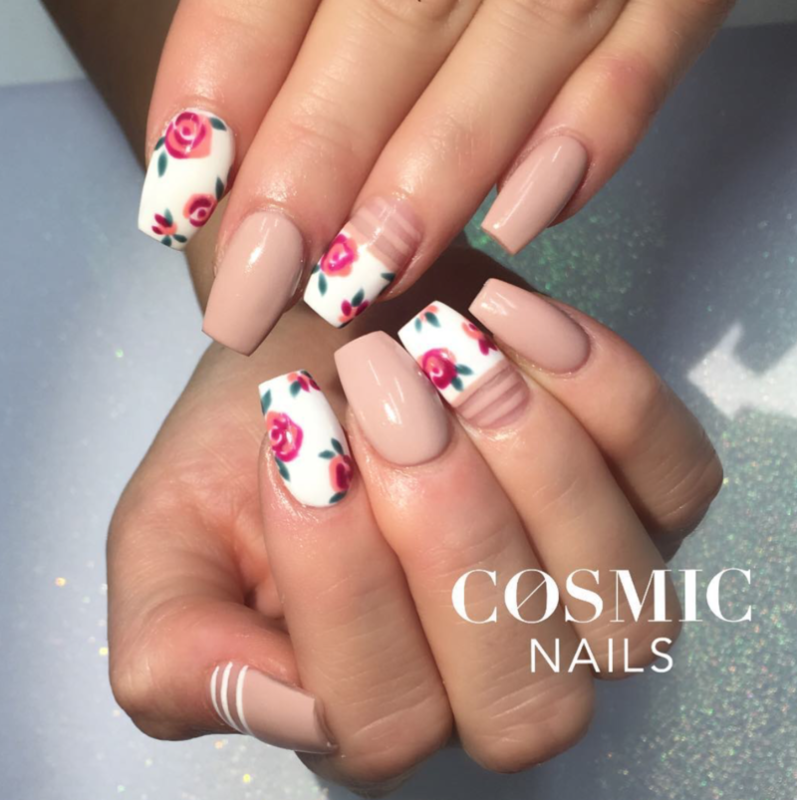 Would you say you are an advocate for nail artists to get out of the traditional space and create their own entity? Oh absolutely. What’s happening now, because of social media, the community is growing, way beyond the Asian community. I think in the next couple years there is going to be this great diversity in the nail industry. What I’m trying to do is build a brand that could grow into something bigger, something that could attract nail technicians and show them they can get out of the traditional nail salon and do something more creative, and on their terms. You went to school for graphic design, and you mentioned that coming up with a concept and the branding for your business came pretty natural to you. What advice do you have for someone who is struggling with starting the process? I think it’s as simple as sitting down with a piece of paper and a pen and writing. Get down everything in your head that you think of when it comes to your space, your logo, your business name, etc. Write it all down—what you think is and is not going to work. What this is going to do is generate your overall idea. After you get all those thoughts down, then you can go through them and do some research online and see if the ideas are going to fit together. For someone who is starting with no ideas, sitting down with a piece of paper and a pen is going to help get it all going. You have shared that Sola is helping you change your life and that it is your opportunity. Can we talk about why that is for a moment? Sola is changing my life, but it is also changing my perspective of the industry. I grew up in this industry and there are a lot of negative connotations against the Asian community and the nail industry. I’ve seen it; I’ve experienced it. I was for the most part thrown into this industry. I felt like I had to work in it because my parents were immigrants to this country and they felt like this was the only way to be successful in America. All I saw and experienced was the negative side of it—the long hours, the terrible pay, never being able to take time off because you feared you were going to be fired if you did so, no healthcare, nothing. When you’re born into nothing, you have to start somewhere, and sometimes you just have to do what you know. I accepted the fact that I was actually really good at doing nails and recognized the fact that I had an opportunity to change the cycle. I could instill some values, some purpose, and really make some change. I thought, “What if I could start a brand that could offer a better work environment for people to change their lives the way that I am?” Most of the people who enter into the nail industry have a fear of the “what ifs” and that they can’t ever do it or be successful on their own. I want to take that away. I now have the opportunity to practice this type of life and business for the next few years and I have the chance to turn this into something else. I can also give other people the opportunity to change their life. Sola has offered me the chance and opportunity to practice all this without any rules. There is no one telling me that I can’t do what I want to do. No one telling me that I can’t close when I want to for the day, no one telling me I can’t take a break if I want to. I’m able to be in my own creative space and build my own brand and that’s how Sola is changing my life. 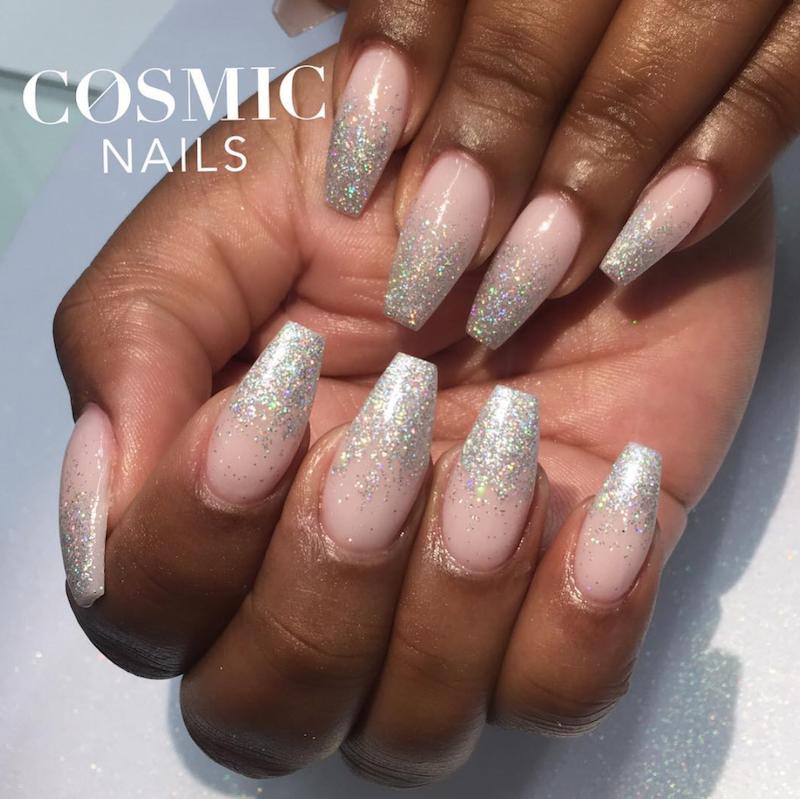 To connect with Julie, follow her on Instagram @cosmicnails_clt, or check out her Sola webpage.